Faux Fur wine bottle gift bag! Mad Bomber Faux Fur wine bottle gift bag! Mad Bomber Faux Fur wine bottle gift bag! Made from a durable polyester/acrylic blend trim with 100% polyester lining. Dry-clean only. Measures approximately 15" x 7" and fits most standard wine bottles. Made from a durably polyester/acrylic blend trim with 100% polyester lining. Dry-clean only. 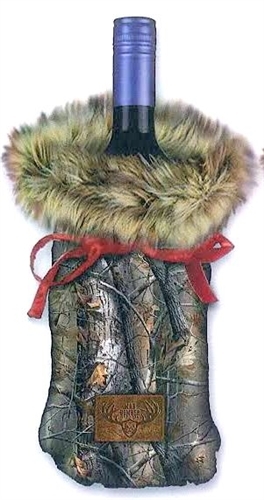 Mad Bomber Faux Fur wine bottle gift bag! Made from a durably polyester/acrylic blend trim with 100% polyester lining. Dry-clean only.